SKU: Model: PCT-100. 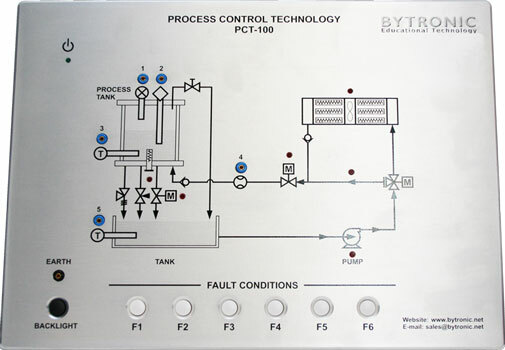 Category: Process Control. 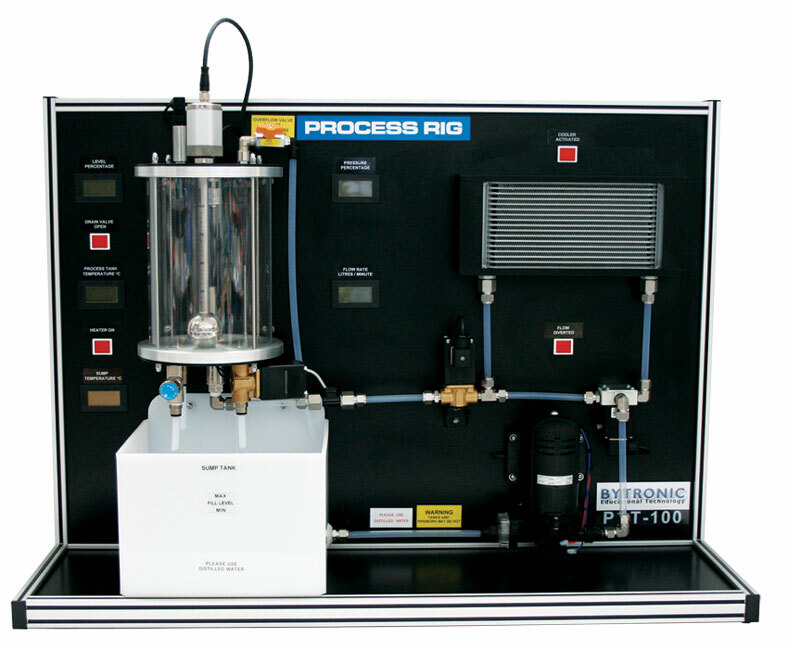 The PCT-100, Process Control Trainer, is a fully integrated, self-contained bench top apparatus consisting of a Process Module, and a Control Console with a built in power supply. 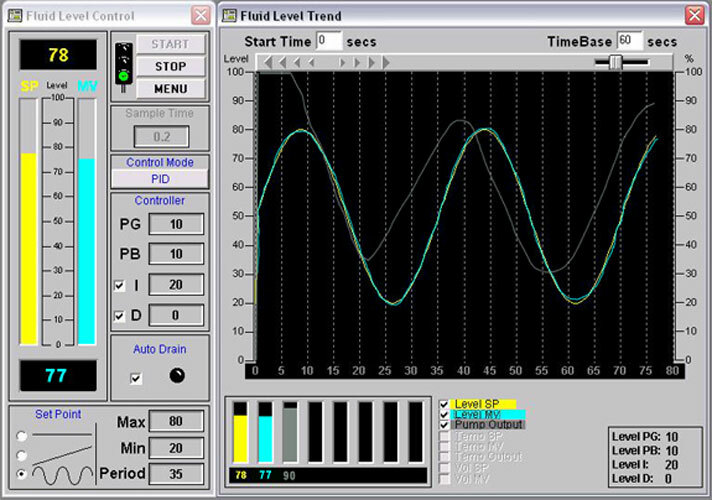 A Windows based software with full control and data acquisition is included. A number of experiments in process control are included covering Flow, Level, Pressure, Temperature. The PCT-100 control console is easily connected to a PC using the USB connection or to a PLC using D type connectors. The console has a mimic of the process module on the front and includes fault switches, and test points from all of the transducers. Level is measured using a 0 to10v Magnetostrictive sensor; pressure is measured using a Gage 0 to 5bar sensor and Flow using A turbine flow rate sensor. PT1000 are used to measure temperature in both the sump and process tank. A diverter valve can be used to direct the liquid through a forced air-cooling process to cool the liquid in the system. Two proportional valves are used to control flow into and out of the process tank, a manually adjustable needle valve is used to add disturbances to the system and a pressure relief valve fitted for safety. Data is displayed on the five LCD displays fitted to the process module, and through the software data can be monitored, saved or printed. The software has a PID controller with Supervisory Control and Data Acquisition and trending features.